Let's learn something interesting which makes a planet more powerful than exalted planet. It is called Neech Bhang Raja Yoga. In English, it can be said Debilitation of a planet is getting extinguished and same planet is becoming Kingly. It happens when a planet is in its debilitated sign and that sign's lord is either sitting in the same house or is exalted in another house. For example - Let's say, Moon is in Scorpio, so Moon is debilitated. Now, Scorpio's Lord is Mars and Mars is also sitting in Scorpio with Moon or Mars is exalted in Capricorn then it creates Neech Bhang Raja Yoga. Another example is in attached horoscope. Mercury is in 10th house of horoscope in Pisces. Hence, it is debilitated but at the same time Venus is also placed in the same house. For Venus, Pisces is the sign of exaltation. 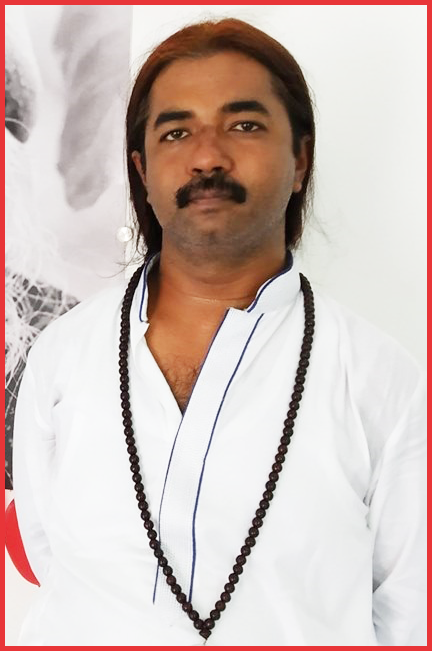 Now, it created a Neech Bhang Raja Yoga. Debilitation of Mercury is extintguished by exalted Venus in same house and Mercury has achieved Kingly status. This way a planet becomes more powerful than an exalted planet. But as they say, in Astrology everything is in addition. So, debilitated planet will have its impact. Where it will have impact? So, this yoga only helps in professional life. In personal life, the planet which is debilitated behaves as a debilitated only. If the lord of the house occupied by a debilitated planet is in a kendra or in a trikona from the Lagna or the Chandra-lagna. If a planet is debilitated and is aspected by its exaltation lord. If the lord of the exaltation house of the debilitated planet is in a kendra from the Lagna or the Chandra-lagna. The debilitated planet is exalted in the Navamsa. If a debilitated planet is aspected by another debilitated planet or by its own dispositor. The lord of the navamsa occupied by the debilitated planet is in a kendra or a trikona from the Lagna which rises in a movable sign or the lord of the Lagna is in a movable sign. If the lords of the debilitation and exaltation houses of the debilitated planet are in mutual kendras or in trikonas from the Lagna or the Chandra-lagna. Raja yoga occurs only if the debilitated planet owning a benefic bhava occupies a kendra in a benefic and friendly sign otherwise its debility is removed and regains its strength. nothing cancels anything, everything adds up. What about the aspects, that are being recieved by the planet causing neech bhang raj yoga. Do aspects from 6,8 and 12th lord cancel this rajyoga? Kindly guide! 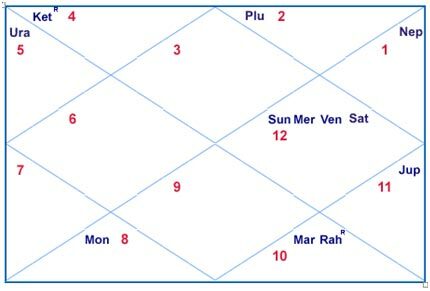 If Sun is in Libra with Venus in 3rd house.... Ketu in taurus in 10th house... Rahu is sitting with Mars in scorpio in 4th house... Moon in first house... Then how many NBRY are occurring and how beneficial they are Sir? Please guide me sir. Thanks. @ Rahul - everything matters. @ Rahul - moon in scorpio cant cause NBRY , it can recv NBRY due to other planets. degree of moon doesnt matter. Hi, a quick query Navamsa (Virgo Asc. ): Venus 1st house+Sun+Mars (Retro), Mercury in 6th house (Aq. ), Jupiter (Retro) conjunct Moon in Cancer Is this a disaster? Sir, Today had posted 5 questions on different posts of "various Yogas". You had immediately responded to all of them. Thanks a lot. I am aware that you offer paid consultancy. Currently going through critical phase. On 1st September, have been asked to leave job. Last working day 4th December 2017. Want to know, if shall a new job by then. DOB - 19th November 1971. Time - 04:15 AM at Kolhapur Maharashtra. Will you please help me by answering this? This is an humble request. Warm regards. Sir, Kanya Lagna, Vrischik rashi. Mars in Kumbh - does this fulfill the condition of Neech Bhang Raaj Yog for me? @ vs - mercury debilitation is i m least concerned abt. in example u have given, i think it will give good results overall of mercury and jupiter, but everything is in addition and person can have issues with siblings/communication (mercury) and relationship (jupiter - husband/children). but it will make a highly learned person.